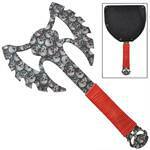 This axe is constructed of stainless steel with an electroplated finish of the damned on it. 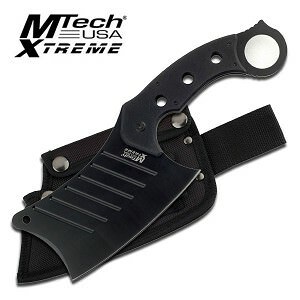 The sharp blade has cutouts to make the blade lighter and aerodynamic to "cut through" the air. 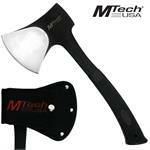 This axe can also be used as a saw as both bits have jagged sharp saw style blade. 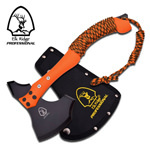 The handle is wrapped with green nylon cording with wooden spacers for a more comfortable and firm grip. 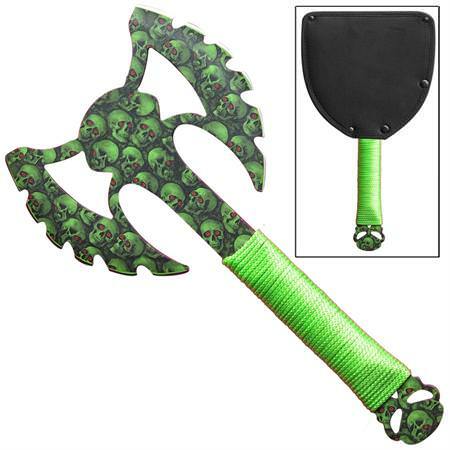 The handle also features cutouts at the end of the handle to look like a skeleton or death, himself. 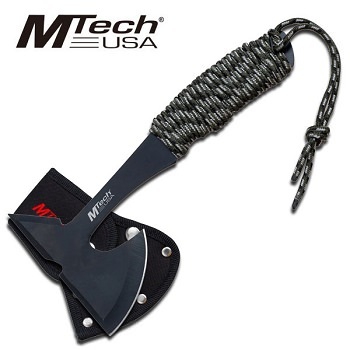 A thick nylon sheath is included with a belt loop and steel buttons to secure the axe.